It seems Facebook Baby “WhatsApp” is more focused on design now. Couple of days back WhatsApp made its Material Design-packing app update available on Google play store, after offering it exclusively for download from its website since April 2015. It seems they have made the habit of putting the new design on their website once the older one is on Google play store, keeping the jocks apart. It seems that previous update was only the beginning; however, as the WhatsApp website has now put the newer version of the app for the user downloading pleasure. The new version which is known as 2.12.87 isn’t the complete jump from the previous version of the app update 2.12.84, but it does bring a few more cosmetic changes that help further refine the new Material Design look for the app. This update brings new default wallpaper that fits much better with Google’s design aesthetic than the previous one. Moving, past this, the calling screen has been dramatically enhanced (check the image for design change), ditching the black and red design in favour of dark green background with a lighter shade of red for the end call button. Some of the other changes include removing some of the older menu icons that looked out of place with MD, refining the search bar, and adding support for receiving iOS different skin toned emoji. 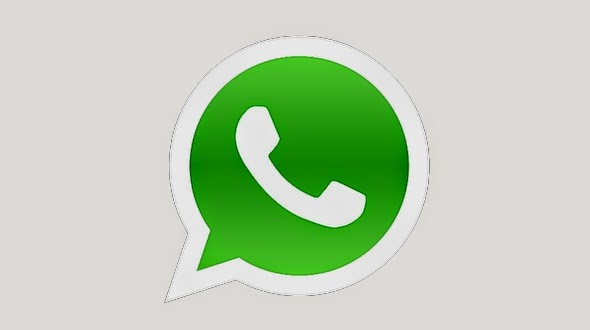 Bottom-line, WhatsApp is continuing to clean up the look of its app and move forward with Google’s latest guidelines. We also imagine that there will be a number of bug fixes and performance improvements here as well. 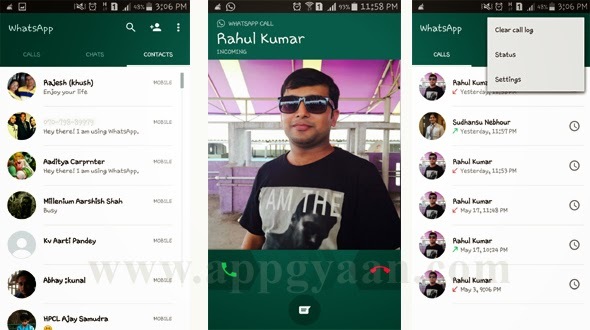 Hope you will enjoy the new design of WhatsApp, do share your views and comment below, you can also subscribe to App Gyaan RSS Feed for all the latest updates directly into your mail box.